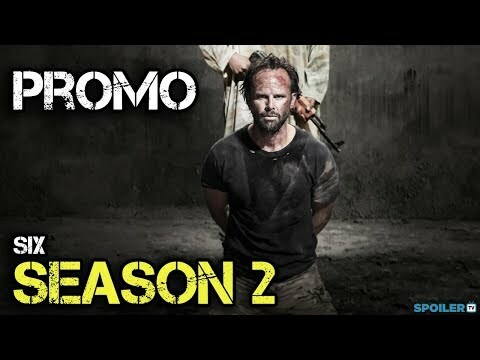 From A+E Studios, the ten-episode second season of "SIX" follows Navy SEAL Team Six in a mission to destroy the terrorist network responsible for the shooting of their former team leader Richard "Rip" Taggart (Walton Goggins, "Justified"). Led by Joe 'Bear' Graves (Barry Sloane, "Revenge"), the Navy SEALS will join forces with cunning and tenacious CIA officer Gina Cline (Munn) to scour Eastern Europe, infiltrating hostile territory and terrorist hotspots like Chechnya as they track the mastermind behind Michael's (Dominic Adams, "Devious Maids") jihadist network. The chase will bring the Navy SEALs to the border of Russia, where the consequences of their actions could spark World War III. Six Season 2 was released on 263d ago in the UK and the US.